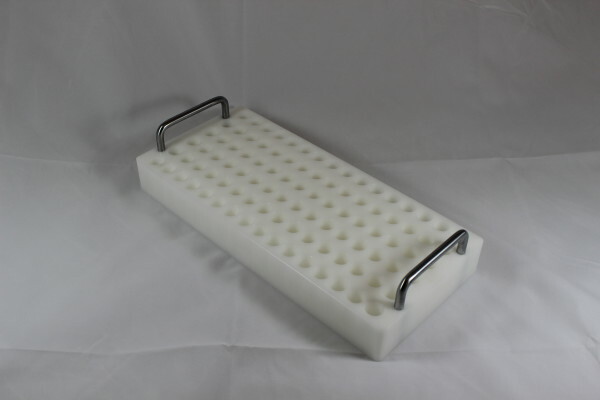 This 96 position tube carrier is made of delrin for solid construction with handles for easy transfer from bench to deck and back. The receptacles are pitched such that when aspirating from the tube all the liquid can easily be reached. 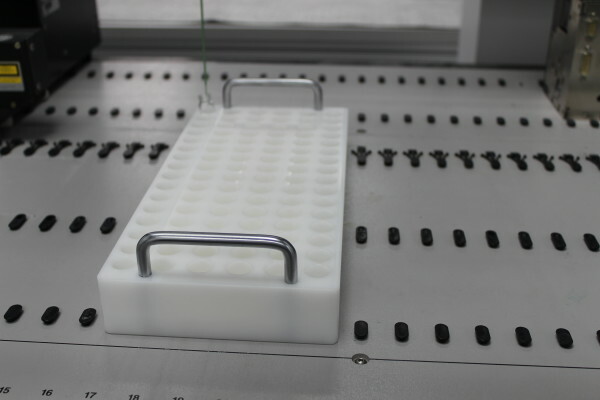 This carrier is for use on the bench as well as the instrument and holds 1 dram vials. 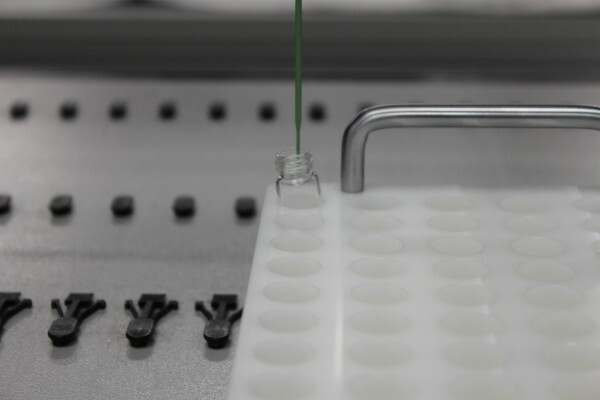 This carrier can be manufacturer for any vial size. Please indicate size in quote request form.